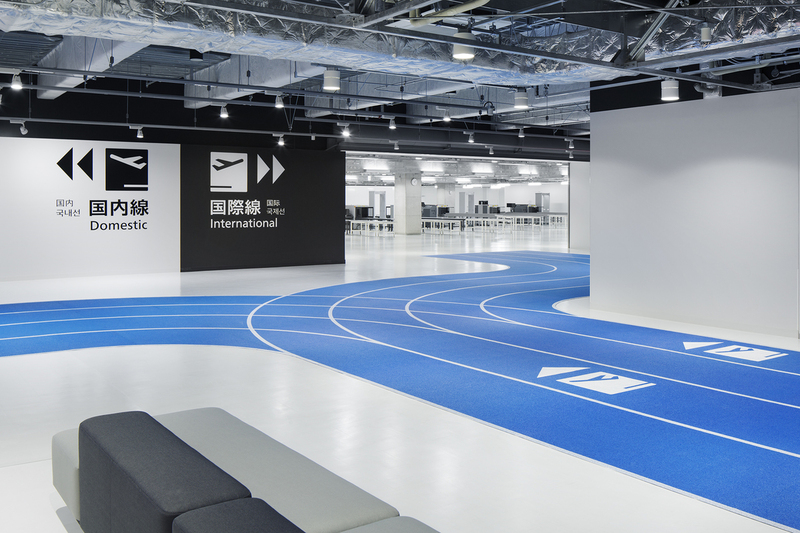 Tokyo’s Narita International Airport has installed real running track.inside newly opened terminal 3 to help travelers catch the plane. Travelers run on blue rubber paths for departure (to the sky) and follow the brick red tracks for arrival (back to earth). If you are there, pay attention to the baggage carousel and notice that luggage are always delivered right side up on the belt.